Ponte Verda, Florida. 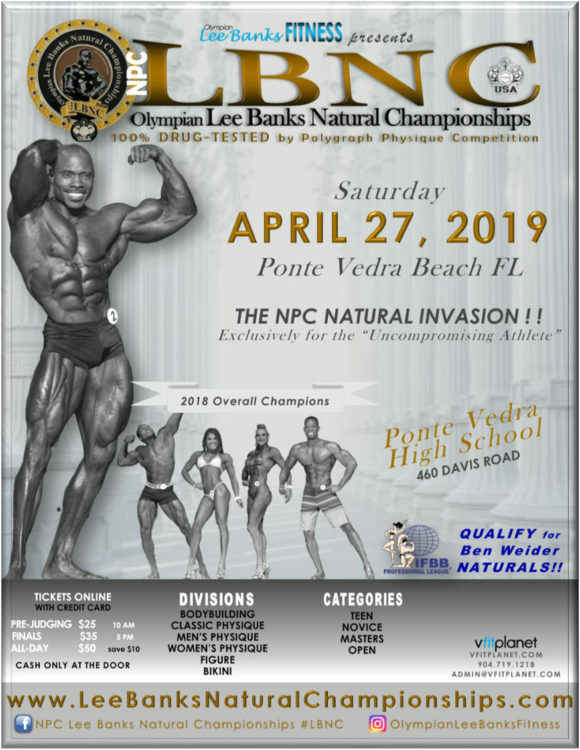 Compete in the 2019 NPC Lee Banks Natural Championships. Newnan, Georgia. Compete in the 2019 NGA Fit Fest. Atlanta, Georgia. Compete in the 2019 OCB Georgia Natural. Atlanta, Georgia. Compete in the 2019 NMA Peach State Classic. Augusta, Georgia. Compete in the 2019 INBF Augusta Grand Prix and WNBF Pro Bikini Extravaganza. Atlanta, Georgia. Compete in the 2019 OCB Divine Muscle. Atlanta, Georgia. Compete in the 2019 One World United Global Cup Championships Finals.